Round 1 3/8" dia. model fits popular 3/4" mounting holes. 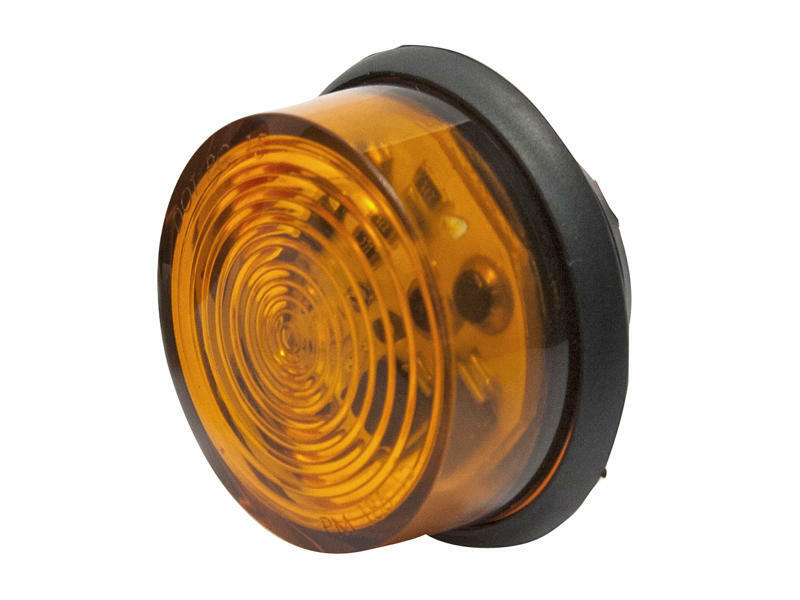 Functions as both clearance and side marker light when mounted at 45 degree angle. Single Diode LED w/white diode behind amber lens. 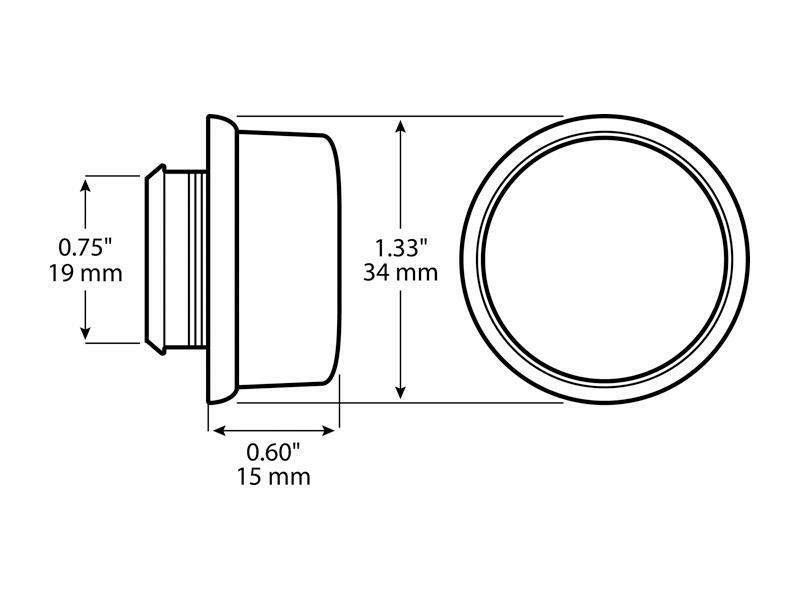 Includes specially designed mounting grommet.